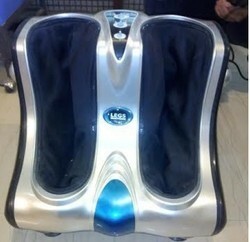 Prominent & Leading Manufacturer from New Delhi, we offer leg massager and foot massager. The kneading & vibratory action go deep into the different layer of muscle of feet, ankles & calves leaving your requvenation & relaxation. Kneading & vibration massage target vital reflex points on the feet & soles, achieving positive reflexology effects. Stimulates blood circulation,there by preparing and warming the muscles. 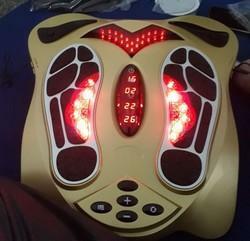 Relieves sore and tired feet effectively. Helps to tone, shape and beatify your legs. This nifty instrument uses high intensity ABS materials. The compact structure was designed using a hands on approach to the man-machine science, giving it a sleek and modern look.